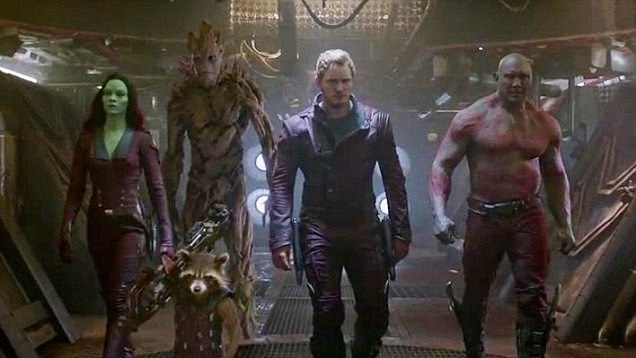 Guardians of the Galaxy easily remained on top of the box office this Labor Day weekend ($16.3 million) as the lowest Summer season in eight years, comes to a close. Guardians of the Galaxy also just surpassed Captain America: The Winter Soldier's $259.8 million to become the highest grossing movie of the year (domestically), so far. Can Guardians of the Galaxy and Teenage Mutant Ninja Turtles hold on to the top two spots as a couple of late-August dumping-ground films hit theaters this mild weekend? 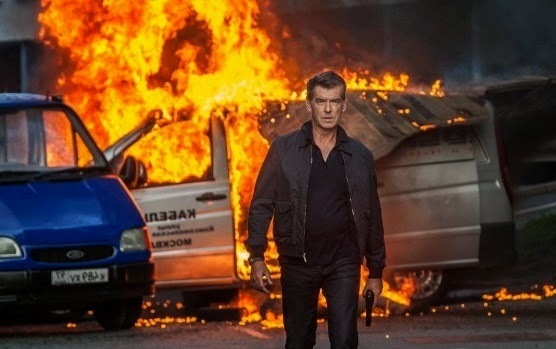 Hit Factor: Pierce Brosnan as a Bond-ish character? Flop Factor: Let's face it, if this Actioner was good it would have been released earlier. Hit Factor: Probably super low budget. 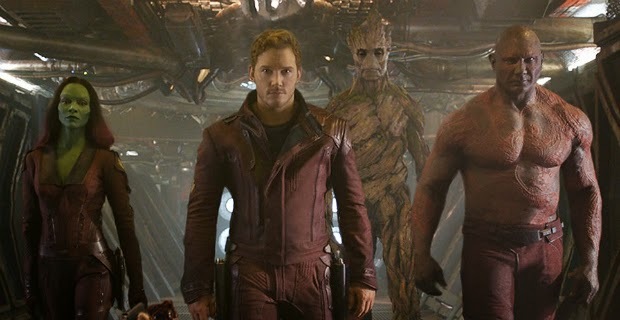 Guardians of the Galaxy ($17.6 million) reclaimed the top spot at the box office this weekend as the newcomer (mostly Sin City 2) couldn't deliver the box office glory that everyone was expecting. In fact, Sin City: A Dame to Kill For ($6.5 million) placed last of all the newcomers, If I Stay ($16.4 million) and When the Game Stands Tall ($9 million)… both of which cost considerably less than Sin City 2's rumored $60 million budget. To make a comparison (because I can) the original Sin City opened to the tune of $29 million back in 2005. 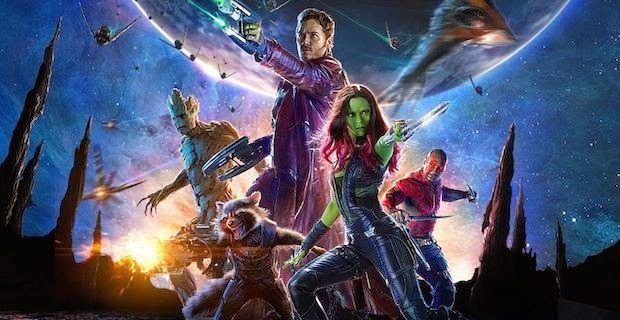 Guardians of the Galaxy should soon surpass Captain America: The Winter Soldier this week to become the highest grossing movie(domestically) of 2014 so far. A few new movies hit theaters this late August weekend. Can Sin City 2 pull off another August 2014 hat trick or will it go the way of The Expendables 3? Hit Factor: Sin City has somewhat of a cult following. Flop Factor: The best time for the sequel was 5 years ago… when everyone was still talking about it. Flop Factor: Looks kind of a wait to video kinda movie. Flop Factor: How is this different from the countless of other Football (or even sports in general) movies? Seriously boring title. 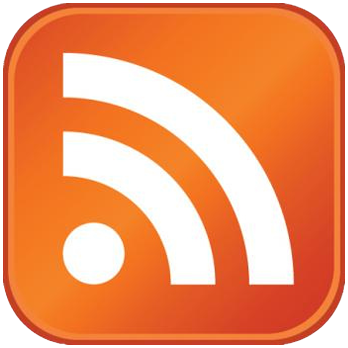 Or in other news, The Expendables 3 way underperforms (more about that later). 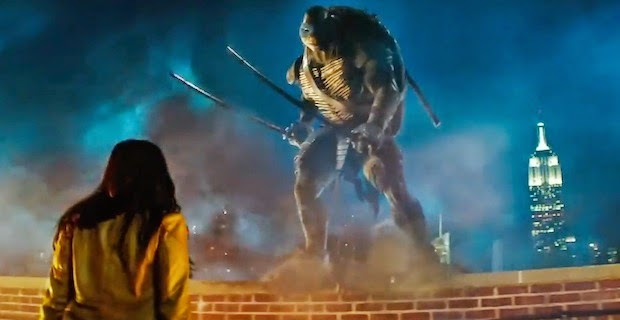 Teenage Mutant Ninja Turtles must be making Michael Bay happy as it continues to remain on top of the box office ($28.4 million) followed closely behind by the third weekend of Guardians of the Galaxy ($24.7 million). The later of which, seems on track to challenge Captain America: The Winter Solder's $259.7 million for highest grossing movie of the year (domestically). 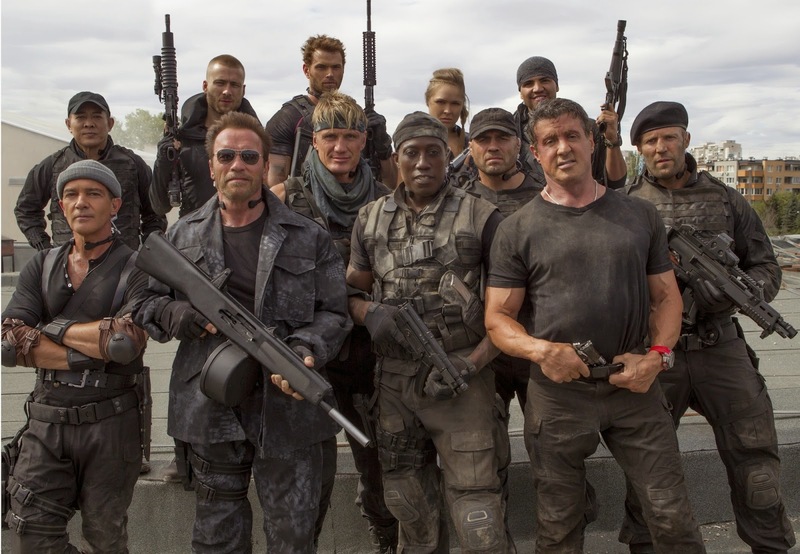 The Expendables 3, which made a paltry $16.2 million for a movie stacked with a box office exploding cast. The Expendables opened to $34.8 million in 2010 followed by The Expendables 2's $28.6 million in 2012… so you can already chart downward it's fatigue. They may attribute this to the fully leaked pirate of the film. However, one should note that this is also the lowest rated of the three only garnering a 35% Tomatometer compared to the 41% and 65% for the first two. Maybe they need to get Michael Bay to do the next one? The silver lining in all this, of course, is that The Expendables franchise does tend to do better overseas and will probably make it's money back. The other newcomer this week was The Giver, based off the popular book. But like the third Expendables, it underwhelmed audiences this weekend, ($12.8 million). A few movies hit theaters this weekend… one with an action packed cast… can you guess which one? Hit Factor: Looks like an interesting dystopian futuristic young adult book. Flop Factor: Early reviews are mediocre at best (53% Tomatometer). Flop Factor: Well, seems highly implausible that they could run around as cops that long of a time doing those antics. I guess this is why it's a movie. …because of Shredder (get it?). lame pun, thanks. 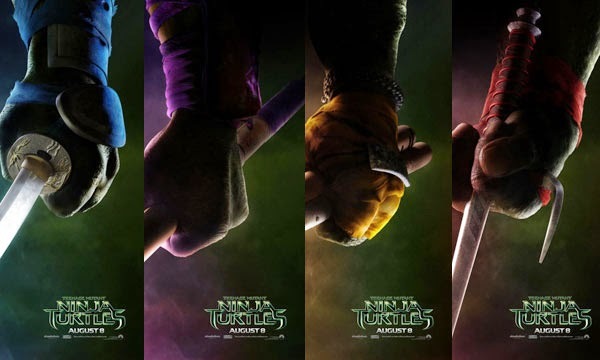 In what seems like an impressive August, Teenage Mutant Ninja Turtles opened to a much better than expected $65 million despite it's critically panned reviews (19% Tomatometer). Michael Bay has become the master of making terribly panned movies that do very well. We can all expect a sequel, since it's just been green lit, thanks to this ridiculous opening. The good news is that August is off to very big start and may make up some of Summer's box office lulls. A bunch of new movies hit theaters this August weekend looking to dethrone Guardians of the Galaxy. Hit Factor: The young boys will go to see this film. Flop Factor: It faced an uphill battle with fans of the original series the minute Michael Bay was attached. Flop Factor: Is this Twister 2? Should probably put some sharks in them tornados to make it interesting. Hit Factor: Steven Spielberg and Oprah backing this film. Flop Factor: One of those "I'll wait for Netflix streaming to see it" films. Probably Marvel's riskiest move to date, has paid off as Guardians of the Galaxy easily secured the top spot with a $94 million finish, that's just behind Captain America: The Winter Soldier's $95 million for third best opening of 2014. It also marks the biggest opening in the month of August, ever. The next marvel movie to come out… The Avengers: Age of Ultron… Uh oh. In other news, Transformers: Age of Extinction, has become the first movie of 2014 to cross the $1 billion mark worldwide.